The battle for on-demand video content streaming supremacy has just reached a whole new level in the Philippines as industry giant Netflix - with 69.17 million subcribers around the globe - formally launched its operations and offered its services in our country last week. This puts the American company in direct competition with iflix - South East Asia's leading internet TV service provider, which has already established its presence in the Philippines quite well since its local launch last year -- thanks to its landmark partnership with Smart Communications and PLDT. That said, for the benefit of Pinoy consumers, I'd like to share some information about the services of both companies that can guide you in choosing which video streaming provider to sign up with. Based on independent, in-depth studies led by iflix's content team, as of January 11, 2016, Netflix PH’s library is estimated at over 3,000 hours of content. There are 201 TV shows (including 71 original titles and TV documentaries), 354 movies (including kids movies and feature documentaries). To date, Netflix Very few box sets (only ones of note were Weeds, That 70s Show, others like Heartland, Trailer Park Boys), and there's just one Korean title, which is Lucid Dream. As of writing, some popular titles in the Philippines including House of Cards, The Walking Dead, American Horror Story, and Once Upon a Time are not yet available on Netflix. Nonetheless, its library is steadily growing so there's reason to believe that these will eventually be part of the content line-up. Notable titles on iflix (which are not available on Netflix) include Modern Family, How I Met Your Mother, New Girl, Vampire Diaries, Friends, The Flash, Lost, Scandal, Family Guy, Once Upon a Time, and award-winning exclusives like Mr. Robot (which today won a Golden Globe award for Best TV Drama) and Fargo. 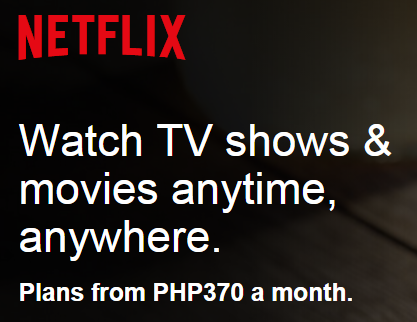 Now, as for the price, customers can choose from three Netflix plans at Php 370 per month for the Basic Plan -- and then there's Standard Plan that goes for Php 460 per month as well as Premium Plan for Php 550 month. The last two offer additional viewing screens and HD and Ultra HD viewing options. 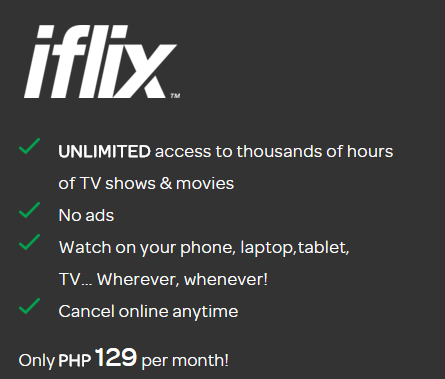 Interestingly, iflix comes with a more friendly price point for the Philippine market at just Php 129 per month, which already gives you unlimited access to all of their content. So far, purely in terms of pricing and amount of content available to subscribers, iflix appears to edge out Netflix here in the Philippines. Nowever, it will be interesting to see how this competition will play out a couple of months from now or once Netflix PH has fully upgraded its library to match what the company is offering in its key markets. Who will win by then? We'll just have to wait and see. But right now, it's clear that as the competition between Netflix and iflix heats up, Filipino consumers are the ones reaping all that's great coming out of the dog fight -- and for me, that's always a good thing.